Home/R&D Center/TV R&D Dept./R&D Product Dept. KTC is committed to the global market development, product quality as the survival target of the company , we have perfect quality control system, product quality won the customer recognition and industry recognition, exported to the EU , North America, South America, Asia and other countries and regions . Certification team is part of R&D system of the whole company, undertake work related to certification of our products, to certificate our products from a third-party view, to ensure our products get the certification internationally. Meanwhile to ensure customer product certification demands with rapid response, offer the best quality service, to provide certification reports and certificates to customer according to market demand in the shortest time. 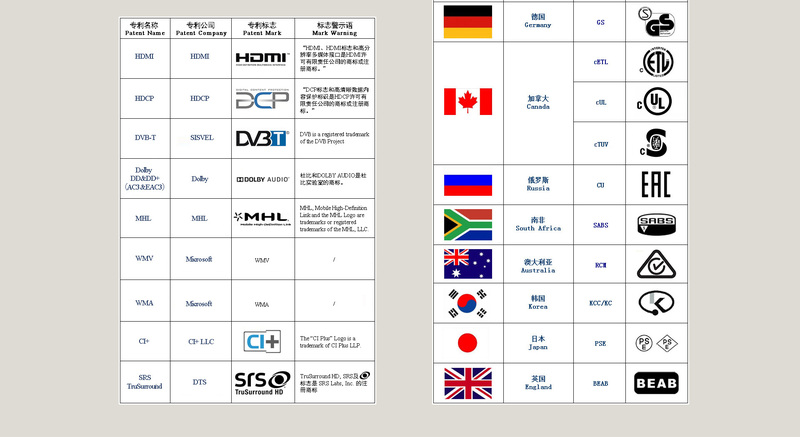 The following table shows the corresponding Certification for relevant products according to different market. Customers are welcome to propose certification requirements depending on their circumstances, the certification team will be happy to serve you.